Saturday was the rest day of the VIII IBCA World Team Chess Championship 2018. 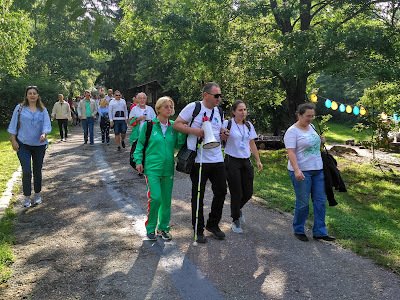 All participants enjoyed the excursion to the Vitosha mountain, situated only 20 minutes by car from the city center. They were warmly welcomed by Snezana Petrova - the director of the national park Vitosha. The special route was an alley in the Dendrarium area, with descriptions of more than 450 different plants, typical for the natural park, written on Braile alphabet. 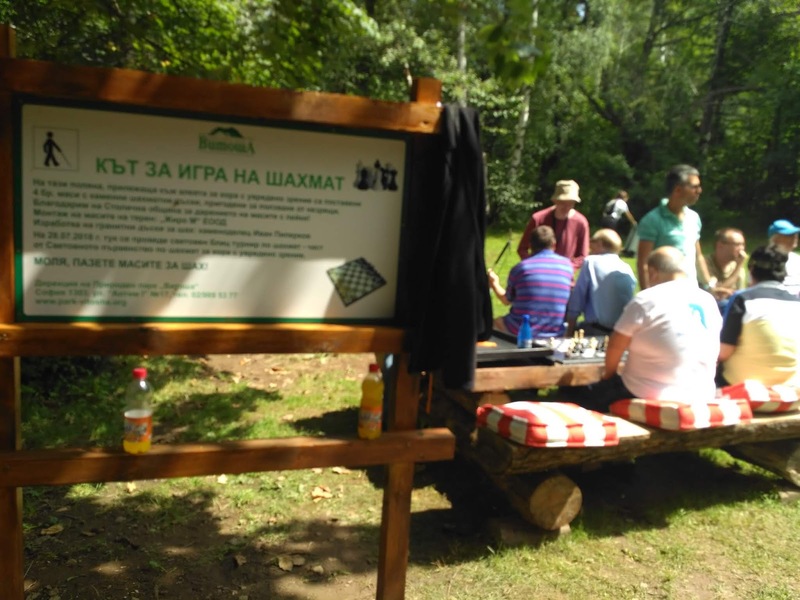 The other entertainment was a chess play in the heart of the forest on six tactile marble chess boards for visualy impaired people on a special wooden tables. 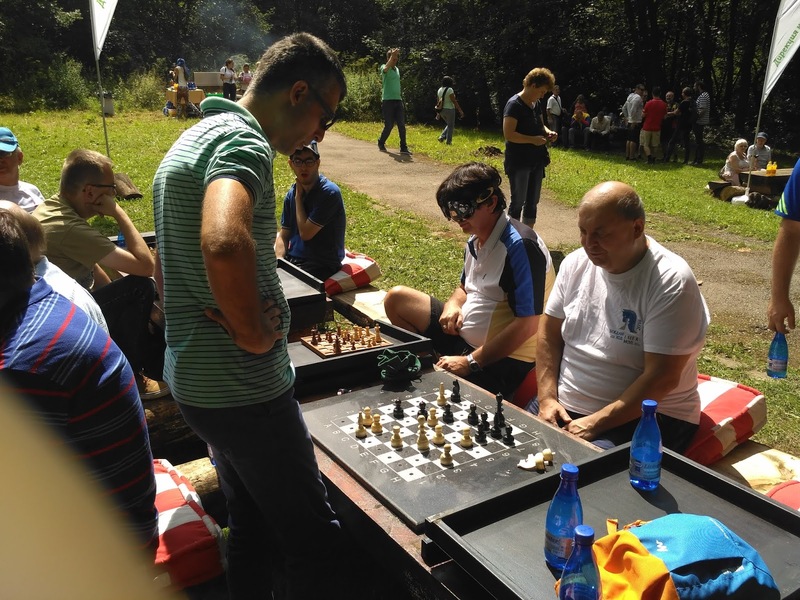 The forest chess play continued 2,5 hours and finished with 4 wins and 2 draws in favor of the Bulgarian GM Delchev. The beautiful nature of the park helped to the players to recover their energy for the decisive last rounds. After the first stage - the winner of group B - and the only team with the full score was Poland with an amazing first board - GM Tazbir scoring 6/6. Will they manage to continue their winning serie in the semifinal against Germany? The German team with the vice world champion Oliver Mueler on the first board scoring so far 4,5 /7 and Rene Adyaman the best performing German player - 5/6 on board 3 confidently got second place in the group. The captain Wilfer Bode is optimist about the chance to reach the top table which will be the historical success for the team. The only interference in the group stage for the Russian team happened in the match against Serbia. On board 1 Smirnov and board 3 Meshkov somehow slipped away from the lost positions they got against Pavle Dimic and Peter Jandric bailing out to 2-2. The Russian players, current World team and Olimpic champions, are undefeated from the last 28 games - with board 3 Evgenyi Suslov scoring 6/6 Alexej Smirnov on board 1 with 5,5 out of 6 and board 2 Babarukin - 5,5 out of 6 - are the favorite in the second semifinal match against Ukraine. For the distribution of 5-8 places - Venezuela will meet India - and Serbia - Romania. Venezuela had an extremely unfortunate start - missing the first round, then followed by defeats against Germany and Russia. But they manage to win all the remaining matches and to share 3rd and 4th place in the group with Serbia. The match against India will be a very tense clash as the Indian players are very well prepared and confident. Their best performance represeted Kishan Gangolli and Aryan Joshy both with 4,5 /7. In group B Romania got the 4th place thanks to the important wins over Spain and Bulgaria and already beat its best achievement (15 at the Olympiad in Skopie and 10 at the last WCC 2013). Serbia also has very good achievements here. Though they missed two golden chances to qualify 4th for the final four against Russia and Germany. Their best achievement - the 4th place at the Olympiad in Skopie and 6th place in 2013 World team gives hopes that they will be favorites in their last match. Interesting reviews and comentaries are offered from of our guests from ChessBase India.